Today I am interviewing RJ Barker, author of the new fantasy novel, King of Assassins, final book in the Wounded Kingdom trilogy. DJ: Hi RJ! Thanks for agreeing to do this interview! RJ Barker: Oh, no problem, it is a joy to be interviewed by you. I’m quite tired after having been away for a week so if some of my answers don’t make sense that’s why. Although, to be fair, quite often I don’t make sense when I’m awake. RJ Barker: I’m English, I live in the north of England (or Stark country, if you learn your geography through GoT) which is unanimously agreed by all English people to be the best bit of England. I collect old taxidermy that’s gone a bit wrong and have a wonderful wife and little boy. Since Age of Assassins has been released it’s been a bit of a whirlwind. I’ve been shortlisted for: The Kitschie Golden Tentacle, the Gemmel Morningstar and the British Fantasy Society’s Best Newcomer and Best Novel awards. I’ve also been a judge in the James White short story award. I love to read (unlikely I’ll make it to the US in the near future but if I do my readings are fun) and I love to write but mostly I like people. Erm, I am also enthusiastic. DJ: What is King of Assassins and then the Wounded Kingdom trilogy about? RJ: So MANY things. In the most basic way each book is a murder mystery and as a trilogy it’s the story of the assassin Girton Club-Foot. We grow with him, from quite a simple view of the world in Age of… to a much more nuanced understanding in King of… and the lynchpin of his world is the relationship he has with his teacher, Merela Karn. But, like with all books, there’s huge amounts of subtext, ideas about power and who holds it and the price that’s paid, of redemption and forgiveness, of friendship and familial love. There’s loads going on in the books but I think it’s important to make things accessible so you can ignore all the subtext and allegory and just read an exciting story with lots of battles. DJ: What were some of your influences for the Wounded Kingdom trilogy? RJ: A Huge influence was The Chronicles of Morgaine by C.J. Cherryh which is also based around a platonic m/f friendship. A lot of people have pointed out similarities to Robin Hobb’s Farseer books but, although I have read them and undoubtedly they are stored in my mind (and Robin is fantastic) they weren’t a conscious influence on Girton, the tone was much more influenced by C.J. Sansom’s Shardlake books about a lawyer in Tudor England. Also, a whole lot of history books too (probably written by people with the initials C.J. as it seems to be a theme.) Also, Patrick O Brian and American crime writers like James Lee Burke and Robert Crais. 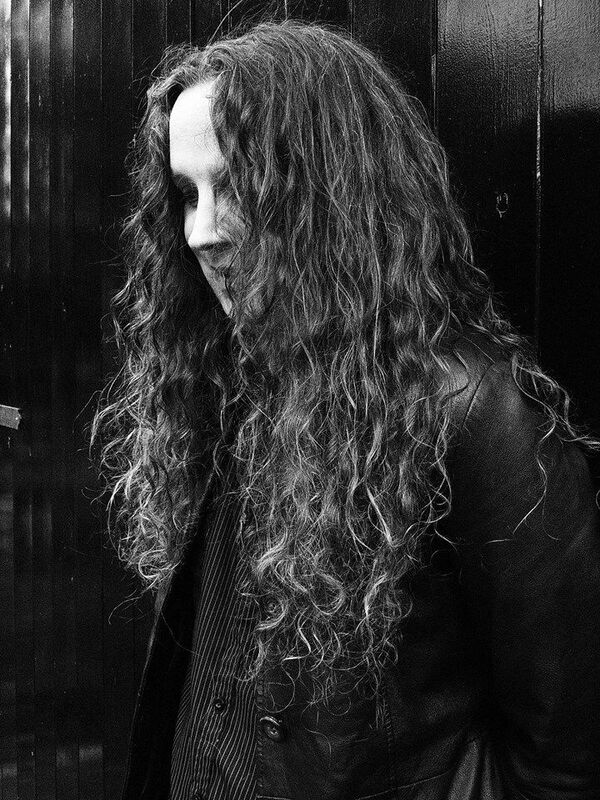 RJ: Well, Girton is disabled because of his club-foot and that makes him an instant outsider and I think there’s a huge draw to the outsider, to the stories of those people that just can’t fit in. He’s also not a violent person — I mean, what he does is violent and he is very good at it and the world forces him into this role but his base nature, if given the choice, would not be to be violent and I think that creates an interesting tension bubbling away in the background. DJ: What is the setting of the Wounded Kingdom trilogy like? RJ:The books take place in the Tired Lands, which is a world on the edge of ecological collapse. Magic is a force that steals life from the land and this has caused vast tracks to be left lifeless. No one has enough food, there’s strict caste system in place and it’s believed when the gods died people were left stuck in their social position. It’s a world of small kingdoms and constant tension where the only living god is Xus, the god of death. It’s pretty gloomy, in other words. DJ: How have the reviews been from readers, bloggers, and reviewers for the first two books of the Wounded Kingdom trilogy? Is there anything that your audience seems to be particularly enjoying or is eager to find out more about? RJ:The reviews have been really good. People loved how likeable Girton was in Age of Assassins and I worried about Blood of Assassins as I spend a lot of that capital in the second book, as he’s a bit of an arse, but if anything the reviews were better. The most often asked question has been ‘tell us more about Merela Karn.’ I’ve been deliberately holding that back for the final book which, although still narrated by Girton, I’ve always thought of as Merela’s book. The reviews for book three, so far, have been really good too but I’ve only seen two. So that may change. DJ: What was your favorite part about writing King of Assassins? RJ: I really enjoyed tying everything up. I’ve known the over-arching story right from book one so it allowed me to do a lot of call backs and mirroring. There’s a lot of talk about ‘balance’ in the books and I’ve sort of written the books as metaphorical scales. Blood of Assassins is different in format and construction than the other two as it’s a two act structure and in the -almost literal- centre of BoA and so the entire trilogy there’s a balance point around the question of ‘who are you?’ It’s like the centre of the scales. AoA and KoA are like mirrors of one another, using a similar format. King of Assassins is the dark mirror of AoA and I really loved finally playing out that final act. RJ: This is almost impossible to answer without major spoilers for BoA and KoA. So in the least spoilery way I hope they will talk about how it grows and how it all meshes together. One reviewer said it make them immediately want to read the whole lot again to see how it works and that’s a huge compliment. DJ: Did you have a goal when you began writing The Wounded Kingdom trilogy? Was there a particular message or meaning you are hoping to get across when readers finish it? Or is there perhaps a certain theme to the story? RJ: In the most simple way, it’s about forgiveness and it’s about doing the right thing even though it may cost your personally. Be good to people, it is its own reward. DJ: I’m always curious when authors finish a series, how close to the original course they stayed when it is finally completed or if it ended up evolving and changing. Did the plot stay the same as you had first imagined it? How about the ending? The evolution of your characters? RJ:I had an overarching plot going on the back ground and that has pretty much stayed the same with some very minor changes. As for the main plot of each book, well, I only knew the plot of the first one when I started. So that was as much a mystery to me each time I started writing as it will be to the reader when they start reading. DJ: When I read, I love to collect quotes – whether it be because they’re funny, foodie, or have a personal meaning to me. 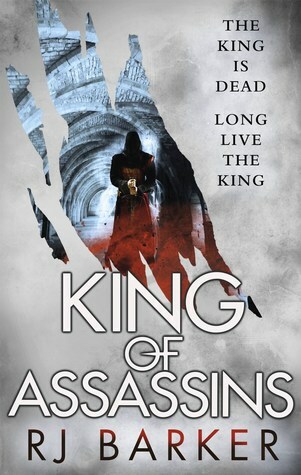 Do you have any favorite quotes from King of Assassins that you can share with us? “Merela Karn, the greatest assassin I ever knew gave up everything for me. Dead gods help me, I should have run. DJ: Now that King of Assassins is released, what is next for you? RJ: I quite deliberately chose to set the Wounded Kingdom books within a recognisable world, very medieval so I wanted to stretch myself a bit further and I’m writing something in a less recogniseable world centred around big sailing ships and huge monsters. But it’s still quite secret, so don’t tell anyone I told you, right? DJ: Before we go, what is that one thing you’d like readers to know about King of Assassins and the Wounded Kingdom trilogy that we haven’t talked about yet? RJ: Just enjoy it, really. That’s all that really matters. RJ: If anyone ever does fanart, particularly of Xus the antlered warmount, please let me know. I love that stuff. The epic conclusion to RJ Barker’s debut fantasy trilogy, set in a world ravaged by magic, featuring a cast of assassins, knights, and ambitious noblemen.